I was sprinting toward the water for my evening swim when I detected a bird, actually a Western grebe (Aechmophorus occidentalis), in distress. It was crouched on the sand where the tide washed in and out. I know how sensitive I am when strangers, especially human strangers, get too near me, so I was particularly disturbed that this bird let others closely approach. Heck, they walked right up to it. The bird stayed still. Funny though, even those who could see something must be wrong seemed perplexed about what to do. They walked on. My human mom jumped into action. With my emotional support, she tossed a towel over the ailing bird, scooped it up, and we headed back to the car. The grebe made a few feeble protests with its needlelike bill but quieted as we got underway. Where did we go? 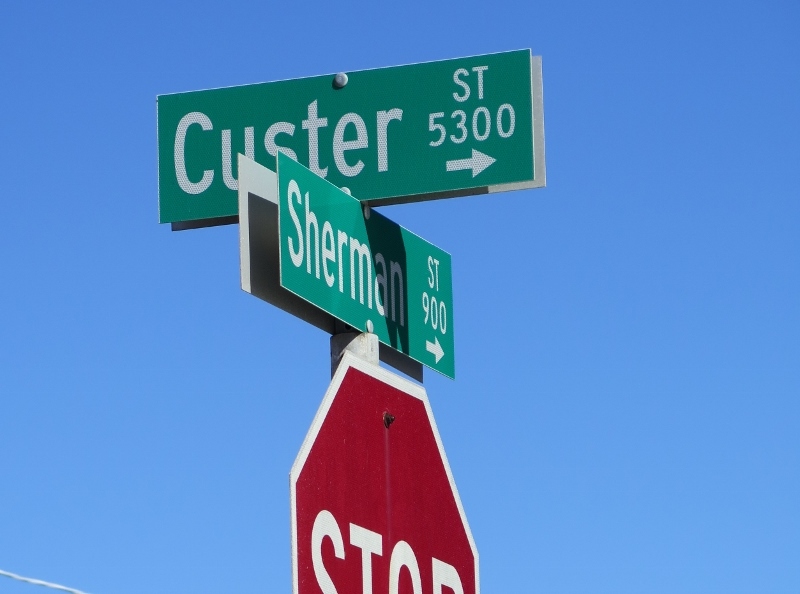 To Project Wildlife, of course, off of Sherman street, which is off Morena Blvd. 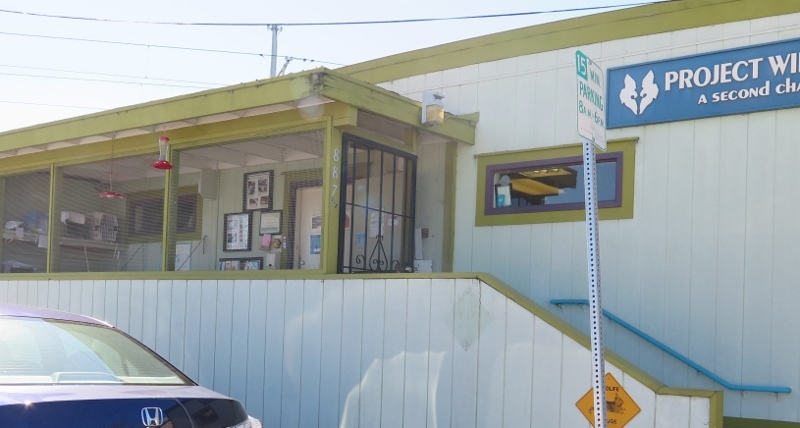 It’s close to the San Diego Humane Society, maybe because Project Wildlife is one of its programs. Project Wildlife focuses on rehabilitating sick, injured, and orphaned wildlife but does not do rescues. I like that because we get to do the rescuing, then bring the wildlife to them. This means I don’t have to get nail-biting nervous like when we find a sick marine mammal, and we can only call and wonder if the animal was rescued or rescued in time. We were careful not to touch the critter with our paws so as not to pass along any canine or human germs. 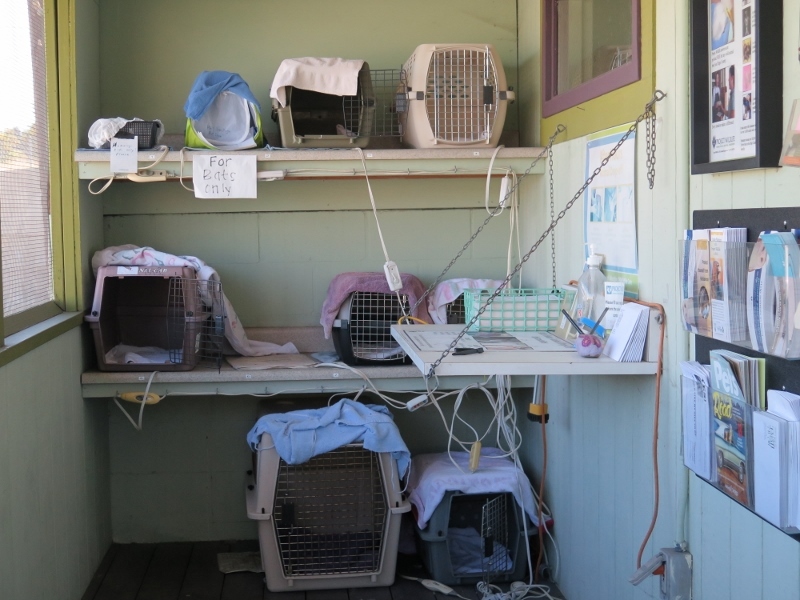 After rolling up to the Project Wildlife Center, we opened the door to a covered patio where shelves of crates lined one wall, each with a heating pad inside. 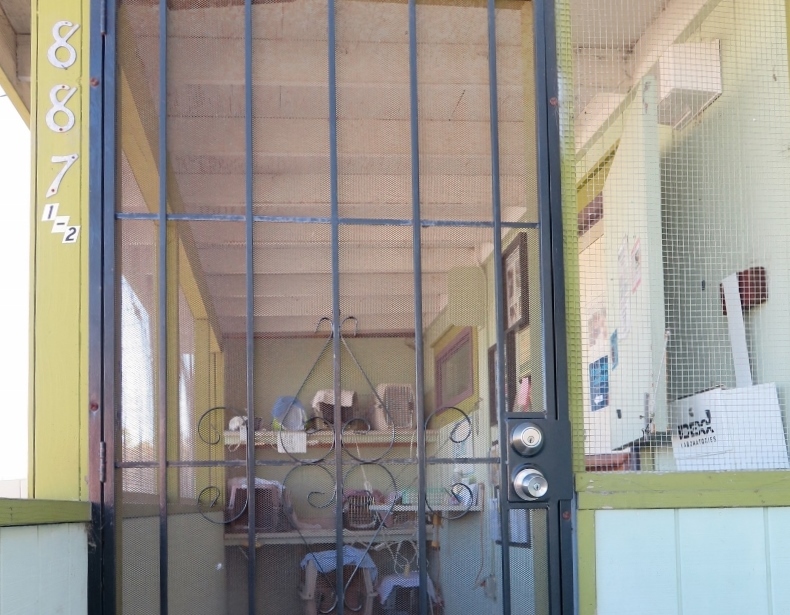 Even if the volunteers (everyone who works there is a volunteer) aren’t there, we knew we could always transfer our ailing animal to a dark, quiet, warm environment to settle until trained help arrived. Well, we lucked out because the volunteers had not left for the evening. We handed over the towel-wrapped, sweatshirt-swaddled bird and filled out the form. The most salient sections ask for details on where we found the wildlife (for release when healthy) and why we thought the critter was in trouble. The best part was filling out a separate slip of paper with our email so we could get an update. Maybe some rescuers don’t want to know what happened to their rescue but as far as we were concerned, that grebe was now part of our family. Would our water bird get another crack at life? After several days, an email arrived on Halloween. It was a treat! We are happy to report that the wildlife patient you brought to Project Wildlife has been stabilized and sent to a Project Wildlife rehabilitator to continue being cared for and prepare for its return to the wild! We will not be able to track it any further at this point, but the first 24 hours are the most critical, so it is on its way to a life back in the wild because of your efforts. Thank you for taking the time to help San Diego wildlife! Hey folks, we don’t have special powers. We are just a dog and a human helping a fellow earthling, and you can do so, too. Don’t wait to see an animal suffering! Know who to call and where to go. Add Project Wildlife’s number and address to your phone this instant: (619) 225- 9453. Should you find wildlife in distress, call to hear a recording on how to safely help and transport the animal in need. Want to be even better prepared? Make an advance visit: Grab a pack (or case!) of paper towels, and head to Project Wildlife this week. They really need paper towels, and you will know exactly how to get to the facility in an emergency. 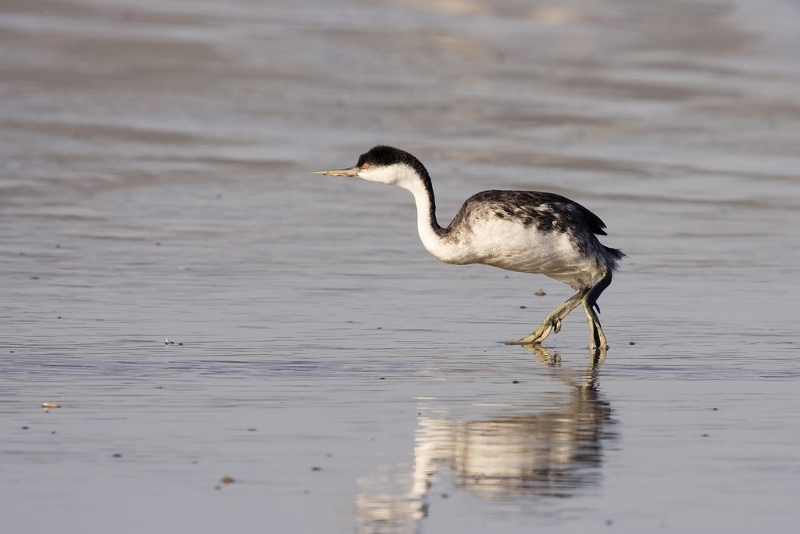 The mostly black Western grebe has a swanlike, white neck; red eyes; and a long, straight greenish-yellow bill for huntin g crabs, mollusks, and small fish. 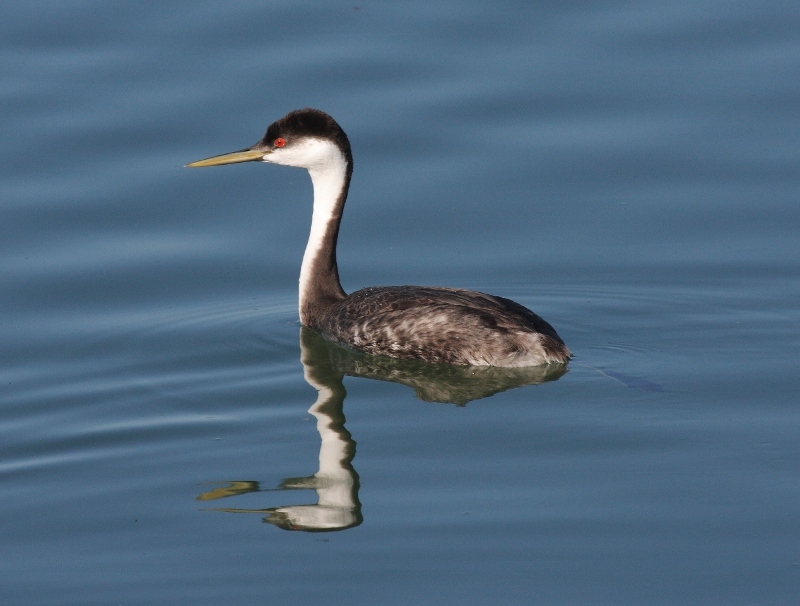 Surprisingly, the grebe is actually a freshwater bird that only visits the sea when migrating and in winter. 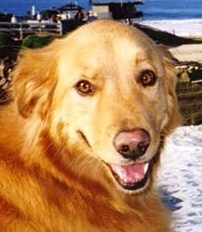 Breeding takes place around lakes. Grebes are excellent swimmers and divers. They can run short distances but keel over easily because their legs are attached far back on the body. When danger nears, they dive rather than fly. To adjust buoyancy, they press their dense, waterproof plumage to the body. Often, grebes swim low in the water with just the head and neck exposed. When self-grooming, grebes eat their own feathers,then feed them to their young. Weird, yes, but eating feathers may be akin to eating a bran muffin in that the roughage might help the offspring to make pellets and make them less susceptible to intestinal parasites.